Many Americans do not realize that there is a war being waged in Egypt against Muslim reformers. These reformers call themselves "Koranists" because they focus solely on the Koran and advocate a modern interpretation of Islam that rejects Shariah law. These self-declared leaders of the "Islamic Reformation" number in the thousands and are connected globally through the Internet. For nearly a decade, as this movement has gained momentum, they have come under increased attack from the Egyptian government for their religious ideas. Al Azhar University, which is based in Cairo and is the leading center for conservative Sunni learning in the world, has rejected the views of the Koranists and has sought to systematically dismantle the movement. To curry favor with this influential religious establishment, the Egyptian government has brutally cracked down on members of the Koranist movement, leading to the imprisonment and torture of over 20 members and the exile of many more. This unique collaboration between the government and Islamic traditionalists refutes current claims by the state that Egypt is secular and that it is working to fight extremism and terrorism. In the latest effort to destroy this fledgling reform movement, a young Koranist blogger named Reda Abdel Rahman was arrested on Oct. 27 and charged with "insulting Islam." Rahman's popular blog criticizes the religious establishment - largely based on his training at Al Azhar. His blog calls for widespread religious and political reform in Egypt and the larger Muslim world. According to Rahman's lawyers, his arrest was requested by the head of Al Azhar after Rahman refused to suspend his blog. He was then detained and tortured in an unknown location for over a month until international pressure forced the government to disclose his whereabouts. "The Egyptian security position against Reda is incomprehensible" said Heba Abdel Rahman, Reda's sister. "They allow visits to the families of Muslim Brotherhood detainees, but they would not allow us the same rights. When we protested they pointed their guns at us, threatened to open fire, and threw us out of the police station." Six local human rights organizations have volunteered to defend Reda and sent lawyers to his interrogation. "It was like an inquisition from the Middle Ages," said Ahmed Samih, head of the Andalus Institute for Tolerance and Anti-Violence Studies. "The Egyptian general prosecutor was asking Reda whether he prays or not, how he prays, and why he denies some of the Sunni traditions." 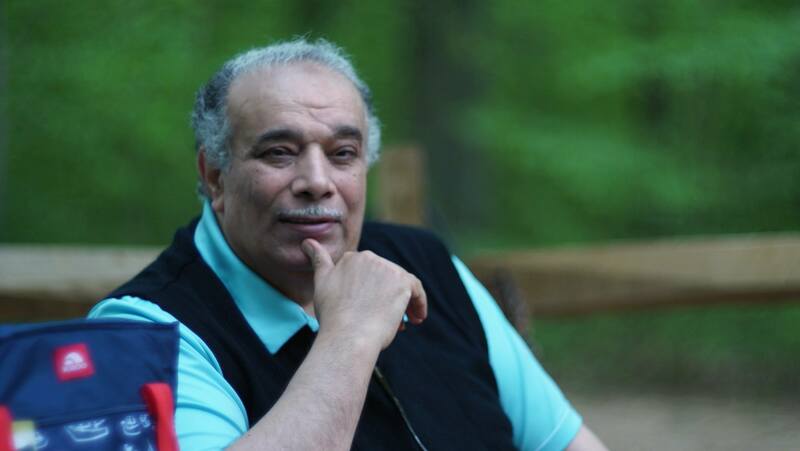 Prominent Egyptian activists like Dr. Saad Eddin Ibrahim blame the Egyptian Emergency Law for the human rights abuses characterized by Rahman's arrest. The law, which was enacted after the assassination of President Anwar Sadat, effectively suspended the Constitution and allowed the government unprecedented powers. While the government insists that the law is important in the fight against terrorism, Ibrahim asserts that it is being used instead to limit the freedom of reformers. "The government promised to use emergency laws only in terrorism cases," he said. "The irony is that the Emergency Law is now being used against bloggers who use the Internet to fight terrorism!" In a surprising twist, the Egyptian High National Security Court has ordered Rahman's release. Despite this ruling - and the unprecedented statement by the court that "arresaditions." In a surprising twist, the Egyptian High National Security Court has ordered Rahman's release. Despite this ruling - and the unprecedented statement by the court that "arresting people solely on the basis of their religious beliefs is not acceptable" - Rahman remains in prison. This refusal by the state to execute the court's order is clear evidence of the collaboration between Egypt's security establishment and the religious institutions against any reform. Islamic reformers in Egypt face severe political obstacles in their efforts to confront religious extremists. It is important that the United States and the international community reaffirm their support for Reda and his fellow Muslim reformers in order to ensure that those fighting for an "Islamic Reformation" are successful.